The Rickman Metisse Triumph is one of the most thoroughly British motorcycles we’ve featured in some time. 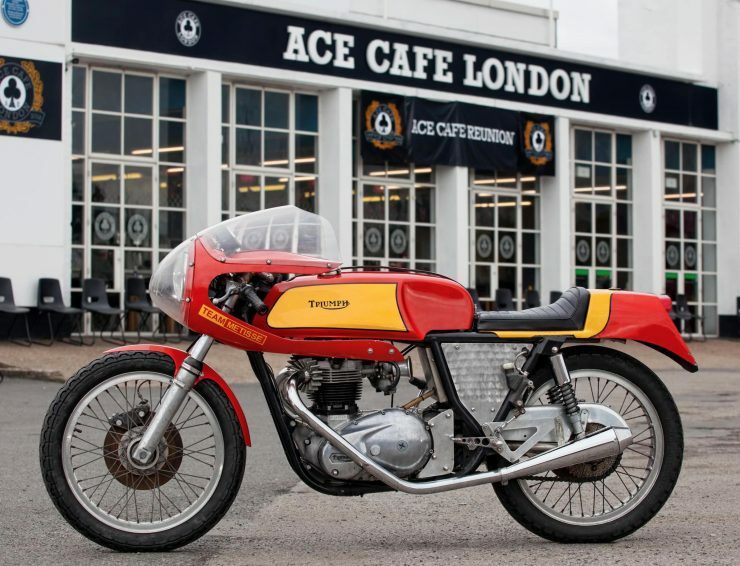 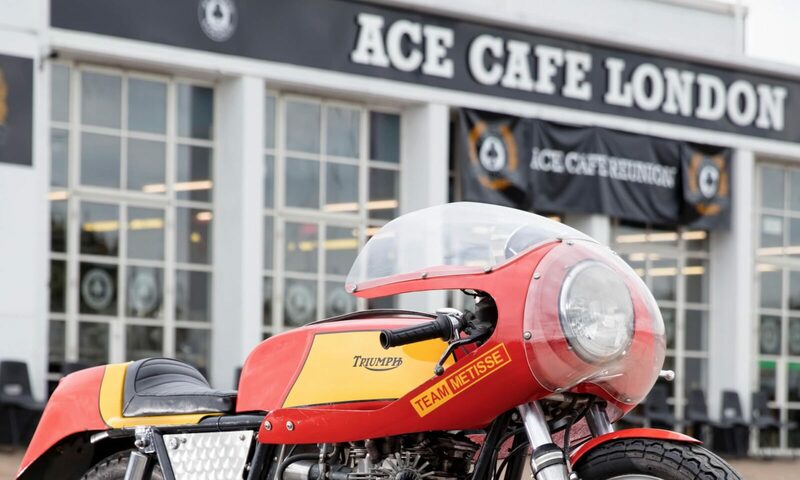 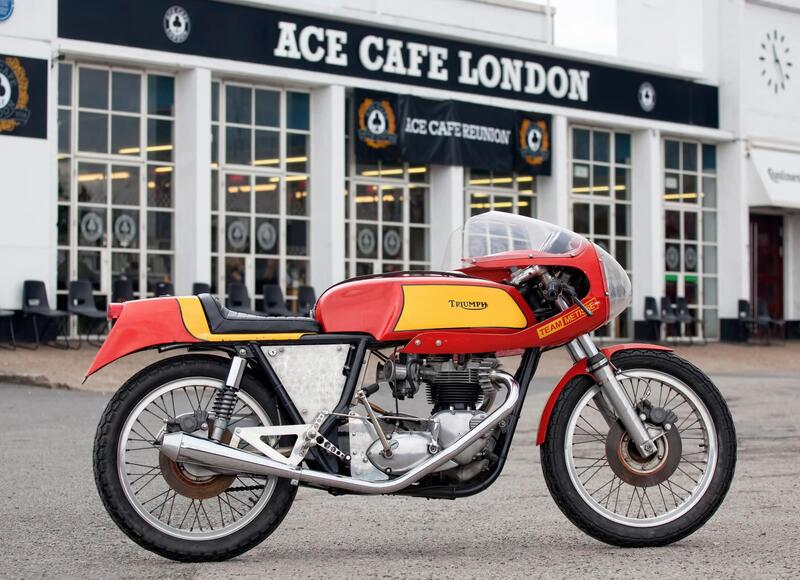 Not only does it have a British engine and transmission thanks to Triumph, it has a Rickman frame and bodywork, and just to cap things off, it’s parked outside the Ace Cafe in London – the original home of the cafe racer dating back to the 1950s. 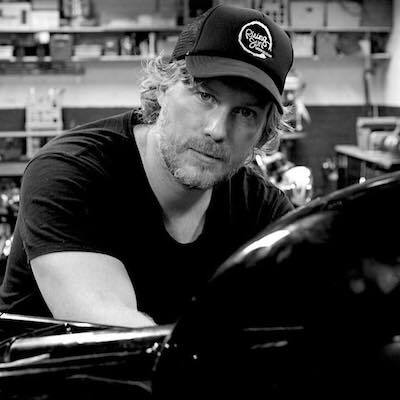 Rickman Motorcycles was founded by brothers Don and Derek Rickman almost by accident. Both men were highly-regarded scrambles racers in the 1950s, but over time they grew increasingly disillusioned with the scrambles (now commonly referred to as scramblers) motorcycles being developed and sold by the big British marques. 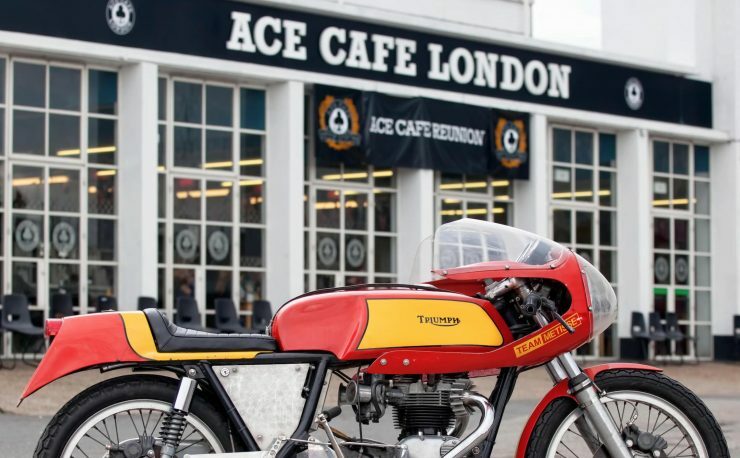 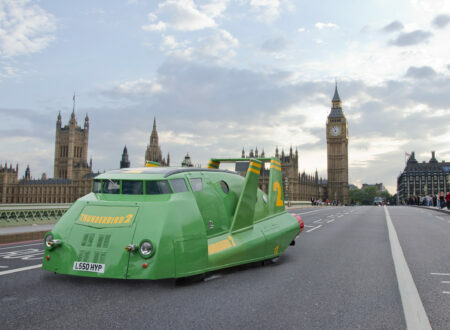 The two men decided to do what any self-respecting Brit would do, make a nice cup of tea, go out into the shed, and build something that would change the world. 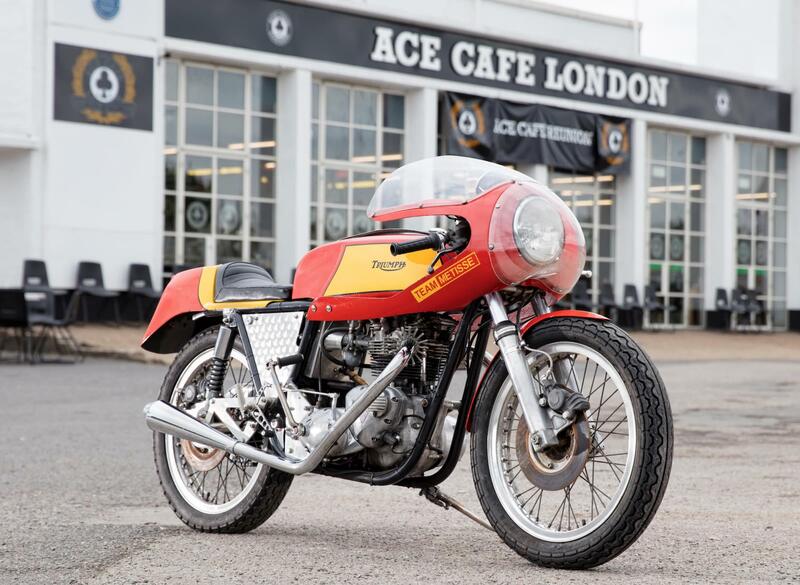 The first Rickman “special” was built in 1959, based on a BSA duplex-loop frame with a Triumph T100 engine, a BSA gearbox, and Norton forks. 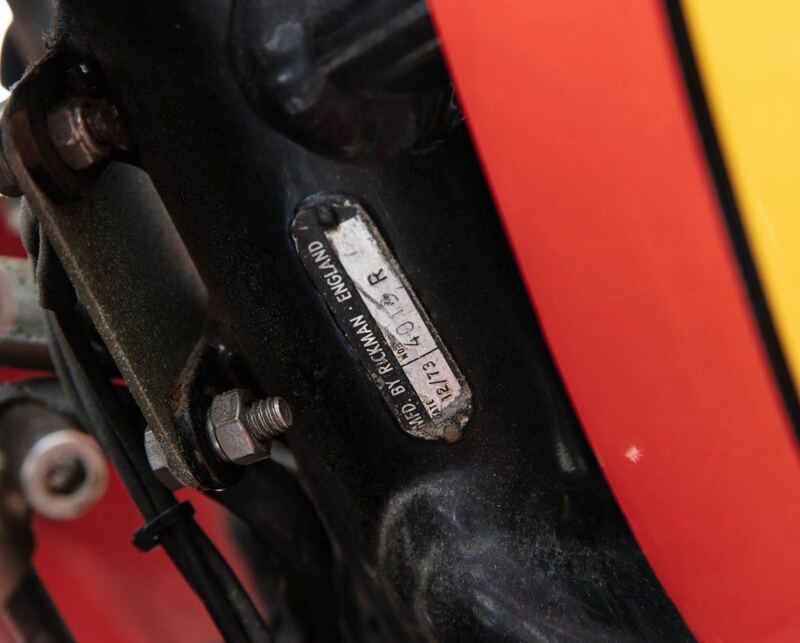 Due to the fact that their new scrambles bike was a hodgepodge of parts they nicknamed it the “Métisse”, which loosely translates from French as “Mongrel”. Don and Derek enjoyed remarkable successes with the new mongrel, inspiring them to build two similar bikes for the next season, which would be followed by their most important advancement – the in-house development of their own motorcycle frame designed for low weight and excellent handling. 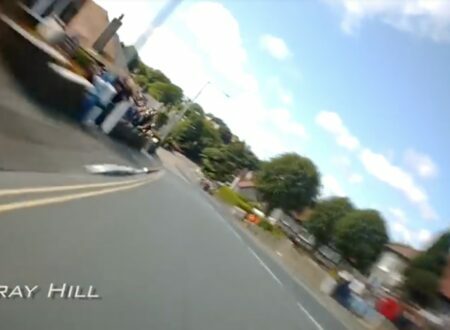 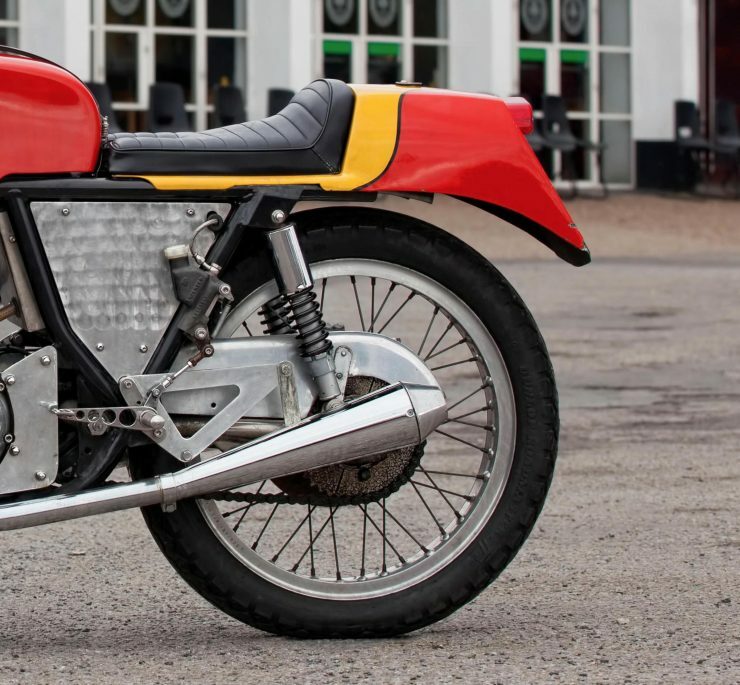 It would be this frame, the Rickman MkIII, that would really make Don and Derek globally famous in motorcycle circles. 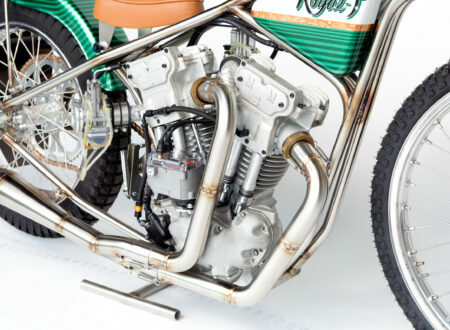 Though initially focussed on off-road and scrambles racing the brothers would later set to work developing kits for road-going British motorcycles, and eventually expand out into developing rolling kits for Japanese motorcycles – the latter of which often had excellent engines with terrible frames and appalling handling compared to their British and Italian competition. 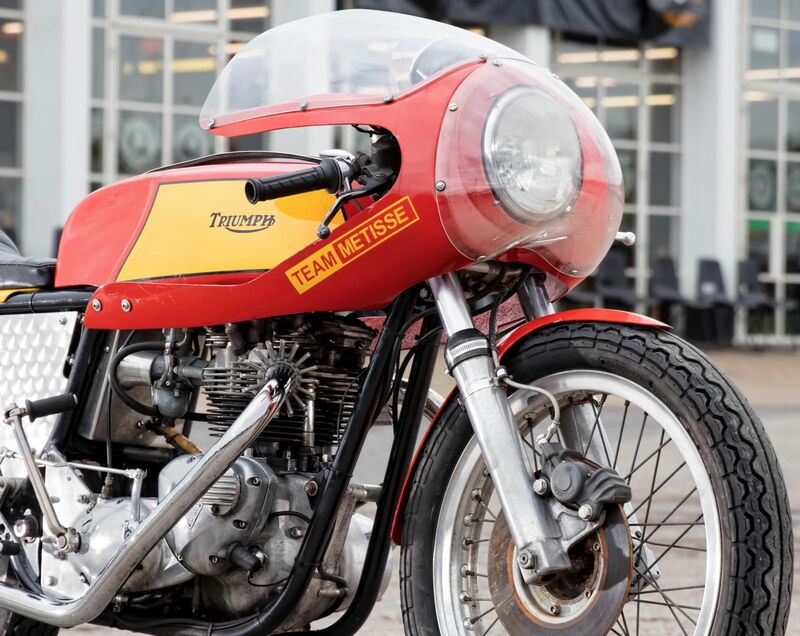 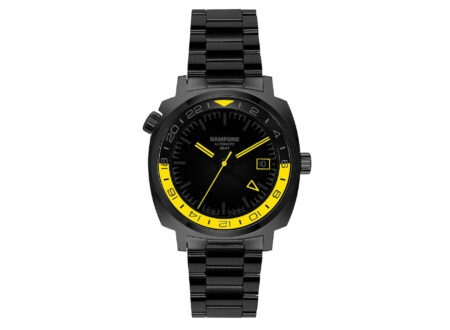 As the motorcycle world underwent its upheavals in the 1970s the demand for Rickman frames subsided, and the company passed into new hands in the 1980s. Fortunately there are now not one but two authentic claims to the Rickman name, Metisse Motorcycles and Rickman Motorcycles with the latter making turn key motorcycles and the former making kits for both on and off road motorcycles that can be bought by anyone who wants to build a proper Rickman using their own engine and gearbox. 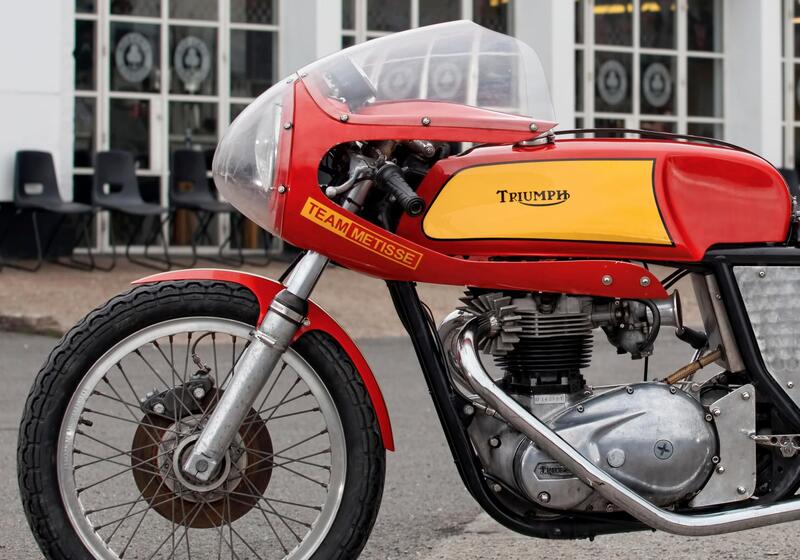 The motorcycle you see here is an original from 1974 powered by a unit-construction Triumph T140 engine, with traditional 2-into-2 exhausts, front and rear Lockheed disc brakes, and a classic Rickman fairing with a matching petrol tank and seat/rear cowl. The bike is currently in good overall condition but will require a thorough re-commissioning before any spirited riding is attempted. 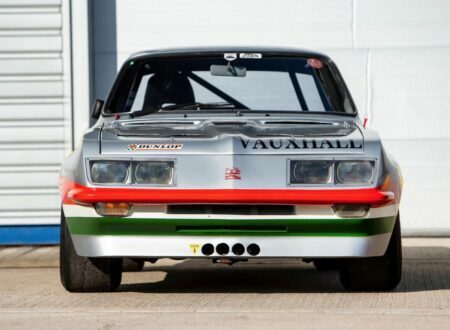 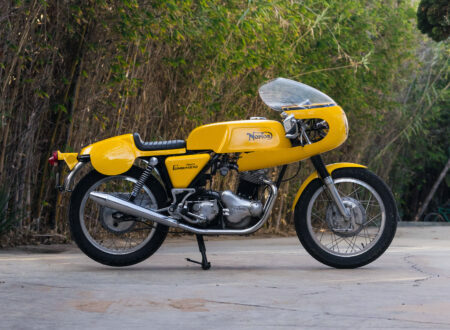 Bonhams explain that it has a good history file containing details of its specification – which includes a right-side gear change conversion, a 4-valve oil pump, and an electronic ignition. 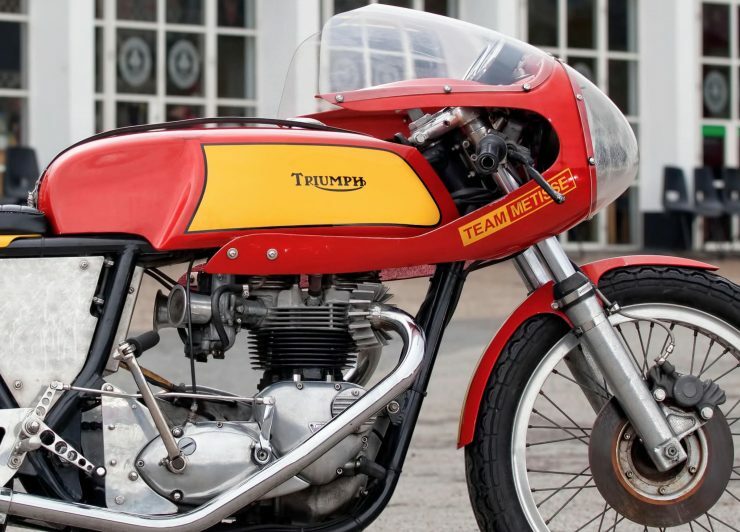 If you’d like to read more about this Rickman Metisse Triumph or register to bid you can click here to visit the listing on Bonhams, it currently has a rather affordable estimated hammer price of between £4,000 and £6,000.